It's fascinating to learn about the Christmas customs of other countries, isn't it? How do customs begin? Some probably start in a family home just like yours. Of course, musicians participate in plenty of musical traditions each year as they race off to rehearsals and performances. Believe me, I remember those days of the December music marathon. Ahh, those tiring moments when you think you've got the Nutcracker "earworm" out of your head but then you hear it blaring over the grocery store sound system. Agggh! Seriously though, starting a musical tradition with your own family (especially if you have wee ones waiting for Santa) can be one of the more enjoyable memories of the season. If you're thinking about starting a tradition with your family, let me be a muse for you and offer some thoughts. First of all, the main goal here is to have fun and to create enjoyable memories with your family. Take your "pro hat" off. Nothing has to be perfect. Remember, it's supposed to be a merry time. No matter what age groups you have, everyone can participate in some way. Offer ideas so that members of the family can choose for themselves what they want to do: act, dance, make a piece of art, narrate, operate the camera, etc. You might have one of those "scholars" in your family who likes to research and share their findings on the history of a carol or a unique tradition from another country. The important thing to remember is to allow your family members to use their strengths. Record or video tape your traditions. With so many video and audio devices now in the home, you could create a series of videos year after year and part of the tradition could be to watch past videos as inspiration. The kids will delight in seeing these videos and who knows, maybe someday they may even play them for their own kids! Have one or more family members read the poem "Twas the Night Before Christmas" or any other holiday poem while you play carols or sound effects softly in the background. For the younger members of the family, perhaps they could act out the scenes. Do you or your children write poetry? Start a Christmas poem (or song) tradition. You could make it a collaborative effort. 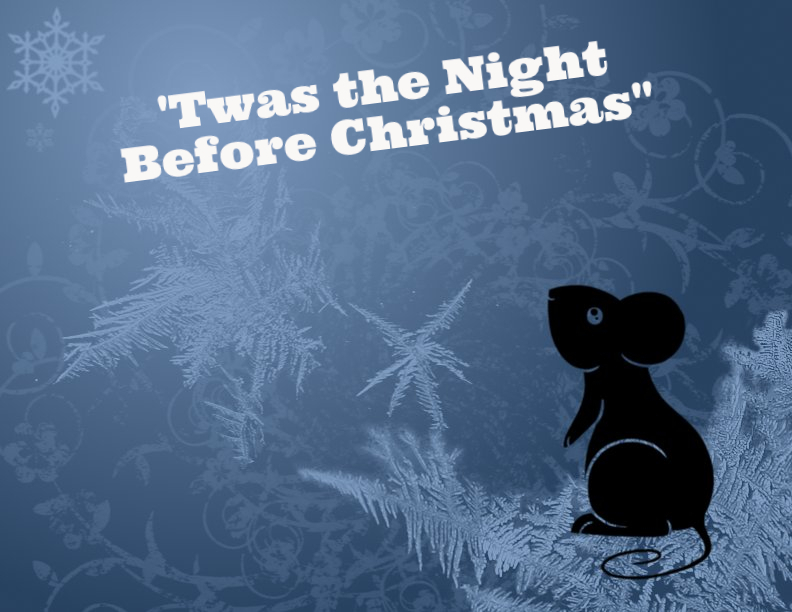 The video example uses the poem "Twas the Night Before Christmas for Narrator and Harp." Choose a Christmas story and have your children draw pictures to go with it. You could even have your children dream up their own Christmas story and embellish it with their own artwork. Let them present their drawings while another family member reads the story and another plays background music. 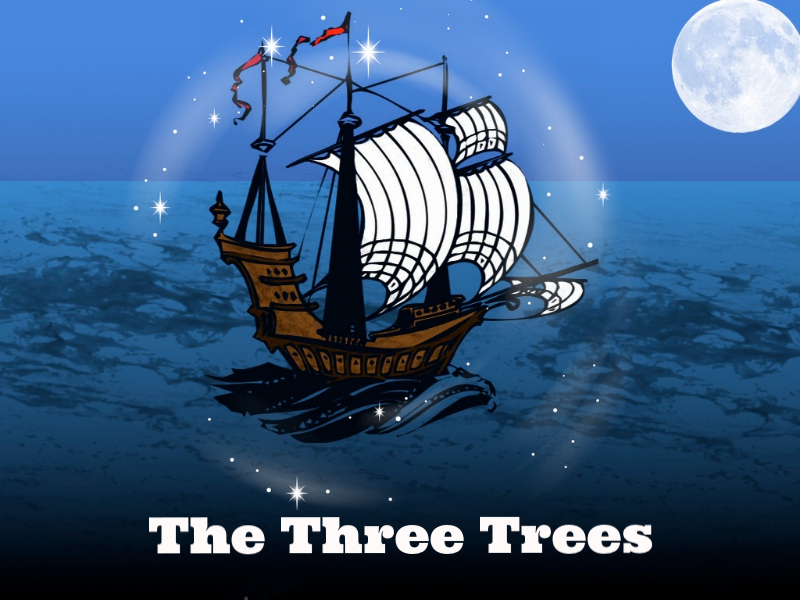 This video example is an arrangement for narrator and harp called "The Three Trees." It's a wonderful story about three trees whose dreams of greatness turn to disappoint. But then one day they find their humble stations changing when they encounter Jesus. 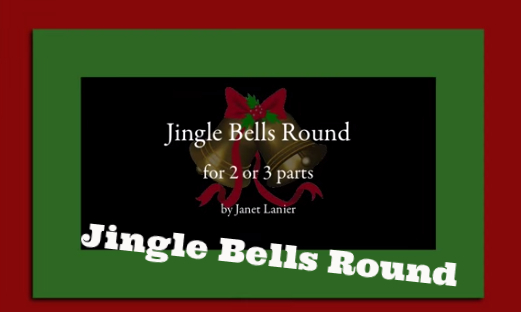 If your family members are proficient enough that they can play eighth and quarter notes on their instruments, try my Jingle Bells Round. Everyone learns the same part and then puts it all together with staggered entrances. This can be played as a duet or trio and I have parts for treble and bass clef and for transposing instruments in C, Bb, F, and Eb. The original Jingle Bells Round is only 47 measures long but in this video demo it's repeated three times so the entire song lasts about 3 1/2 minutes. Read the Christmas Story of the magical night of Jesus' birth and have everyone (yes, adults too!) draw pictures of what they imagine happened that night. If drawing doesn't go over well, print out coloring book images from the web for them to color. 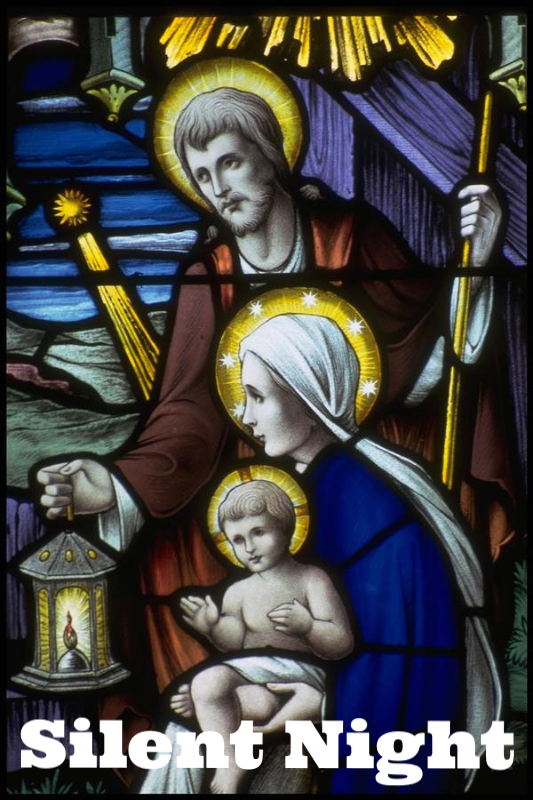 In this video of Silent Night, I came across some exquisite stained glass images of the story of Jesus and combined it with my trio arrangement of Silent Night. This recording was played by my Shepherd's Trio (English horn, French horn, and Piano) and each year we would project the video on a big screen at the church while providing the live music with it. In this video, I was participating in an event called Harpists for Peace where harpists all over the world play their harps in public in the name of peace. I was fortunate that the Hotel Colorado allowed me to play the Peace Hour amid their elegant and nostalgic holiday decor. You don't have to find a venue like I did but remember there are places that can't afford to bring in Christmas musicians so you might consider sharing your talented family's program with a nursing home or other organizations. If you have an annual Christmas party in your home, your family could provide a couple of carols as everyone sits by the Christmas tree or fireplace sipping their hot cocoa. You could even have the family provide a play, a reading, or caroling for the guests to join in. Your guests will no doubt delight in your family's presentation but be careful to not dominate the evening with your program. As the old saying goes, "It's better to leave your audience with wanting more." 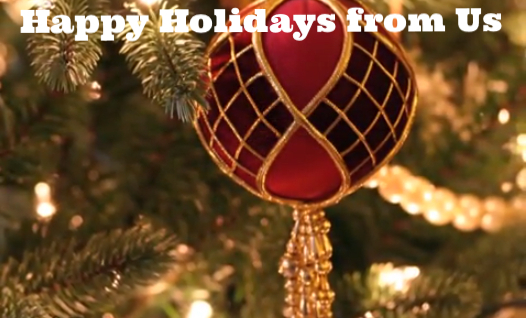 Video tape your family singing or playing the same carol each year. (Be sure to keep it in the same key and have the members in approximately the same places.) After a few years, join those videos back to back so that the carol continues throughout the video while the family matures visually and vocally. Photograph all the decorations you put up this year. You've worked hard so you need to have a memory of it! Combine your images in a pleasing order and add your music just like I did here in this video. I used the free program Picasa to make this video but there are many other software programs that will do the same. Picasa is mainly used for managing digital photos but it has a great feature to make a movie or a collage. If you've never tried creating a video with your photos before, watch my video tutorial: How to Create a Movie with Your Photos and Music Using Picasa. With over 65,000 views on YouTube, you can tell it's a popular and helpful tutorial. You could also collect photos from past Christmases of your family and create a movie using Picasa. Imagine your kids' laughter and joy when they recall those happy celebrations and watch themselves grow up. Maybe relatives too far away to visit might like to see them too. Imagine their delight when you send them a video over email on Christmas Eve. As a bonus, here's another idea. Play "Name That Carol". Either prepare the songs yourself or use a YouTube video to play the game. The person to correctly guess the title of the most number of songs wins. I hope my article will give you some inspiration for your own ideas. If you have other musical traditions to share with me, I'd love to hear about them. Also, if you have created a video/recording with any of these ideas, please send me a link! Send any videos, comments, or suggestions to my CONTACT page.